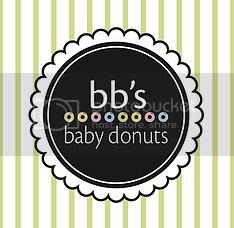 Tales of The Baby Donut: BB'S DONUTS AT THE WESTERN SPRINGS FALL FESTIVAL! BB'S DONUTS AT THE WESTERN SPRINGS FALL FESTIVAL! hey donut lovers! did you happen to visit us at the western springs fall festival a few weekends ago? we had such a great time serving up warm, fresh, apple donuts and enjoying the crisp autumn air. if you missed us, don't worry! you can still try some of our fall flavors in store, and our social media manager molly filmed a little video of the evening! watch it and see some pictures below!